Jack3d and OxyElite Pro (or any fat burner high in stimulants) should not be used on the same day. The concern is that there will be an overload of stimulants and side effects may arise. The good news is that USP Labs has a very effective fat burner that is quite low in stimulants – Recreate. Recreate has less caffeine than a half cup of coffee – about as low as you’ll get in a fat-burner, and is still very effective. So on your workout days, use Recreate as recommended by the instructions, and continue using Jack3d. Note that Jack3d has some of the same components of OxyElite Pro in it, so you’ll still get good fat-burning from it if you’re workout day diet is good. Then, on non-workout days when you don’t need Jack3d, use OxyElite Pro per the instructions. Because of this, we are updating our Jack3d Stack page. This stack will give you the best of both worlds – safety, potency, killer workouts thanks to a full dosage of Jack3d, and long-lasting products. Thanks for this update! I tried Jack3d + Oxy Elite before working out and I was like an animal in the gym. I still had alot of energy after working out, problem is, I wasn’t able to use that energy up and I felt like passing out. Yeah it’s just not recommended. I know people who’ve done it, but it’s just not smart – stimulant overload to the point where some side effects may show up. Stick with one or the other, and focus on diet and timing. You can always add Recreate on Jack3d workout days. I just bought jack3d and OxyElite … since it is not recommended to take both which one should I go for just for weight loss? 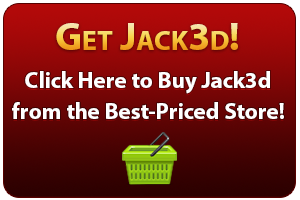 Because I know jack3d will boost my energy and will give me better work outs. If you want Jack3d on workout days, then skip OEP, and use OEP on off-days. Cycle off ALL stims for a few weeks after 8 weeks of use though!